Valentine’s Day is vastly approaching. Whether you’re celebrating your longtime marriage, puppy love romance or just that you love you, the act of gift giving is a crucial part of the day. 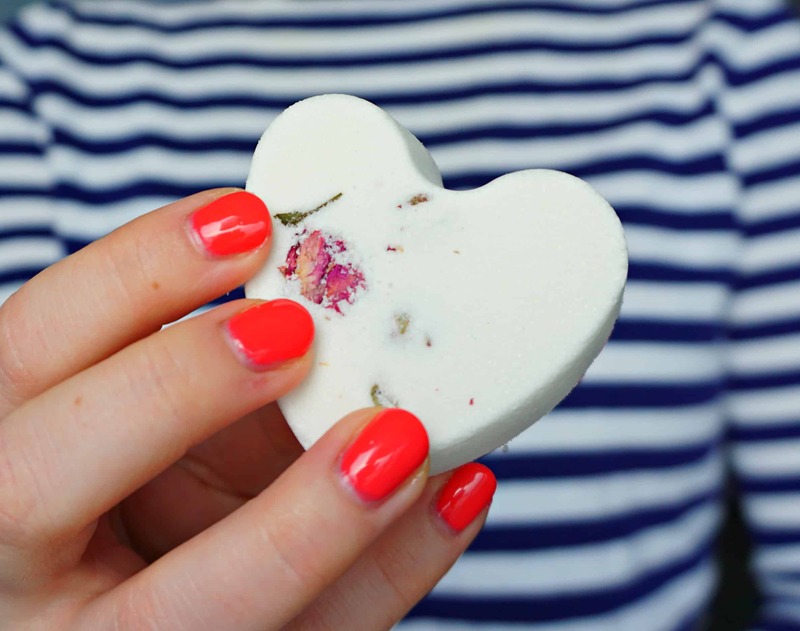 Of course I’m celebrating my Valentine’s Day with … bath bombs! 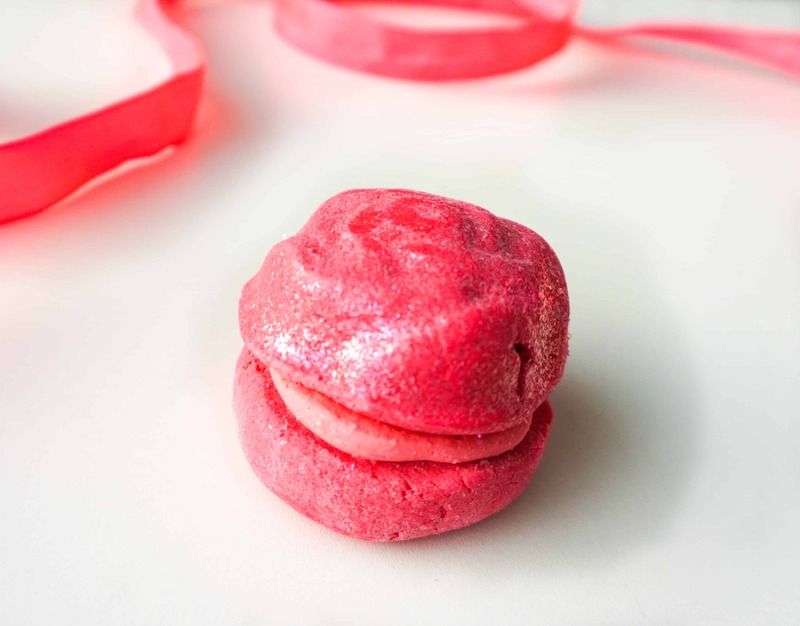 I had this idea for bath fizzies with a hidden surprise. I wanted to make the bath experience even better. So when you drop one of these in your bath water it starts to re-enact the love scene from Lion King and sings “Caaan you feeel the love tooonight”. Just kidding. The hidden surprise is bath confetti. And I think this recipe is a DIY success! 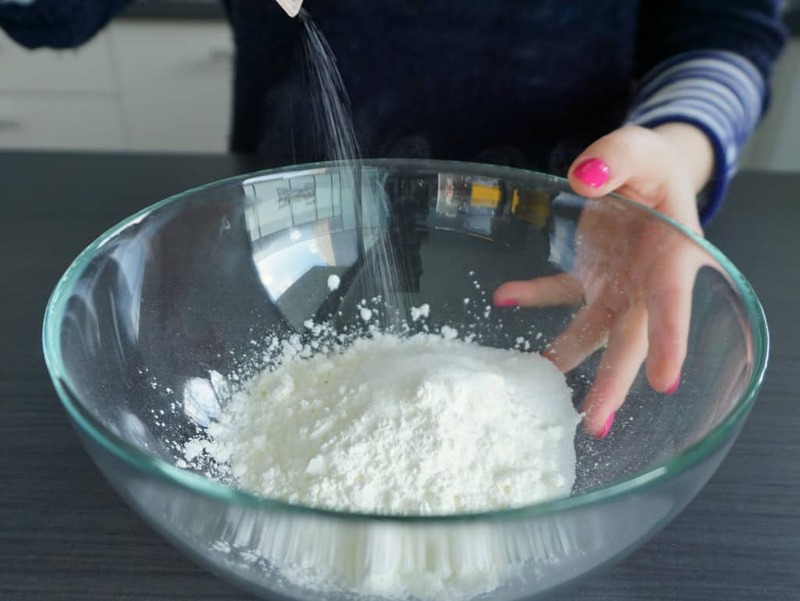 I put all of my dry ingredients together in a bowl, that is the baking soda, cornstarch and citric acid. 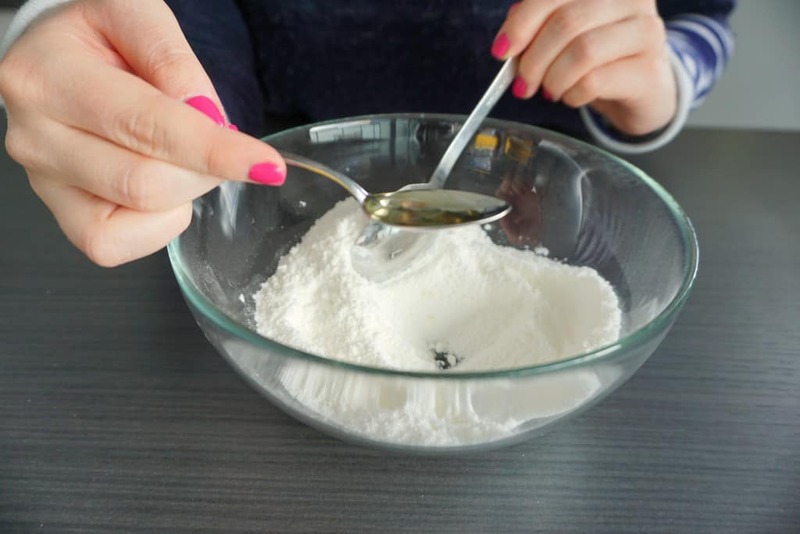 Then I gave it a quick whisk with a spoon. I added 3 teaspoons of rose hip seed oil in total. I let the oil drip onto the mixture and stirred with a spoon in between each drop. I also added a few drops of essential oil for a nice scent. I used ylang ylang and rose geranium essential oil. Between each drop I stirred the mixture once more. I divided the mixture into two batches. 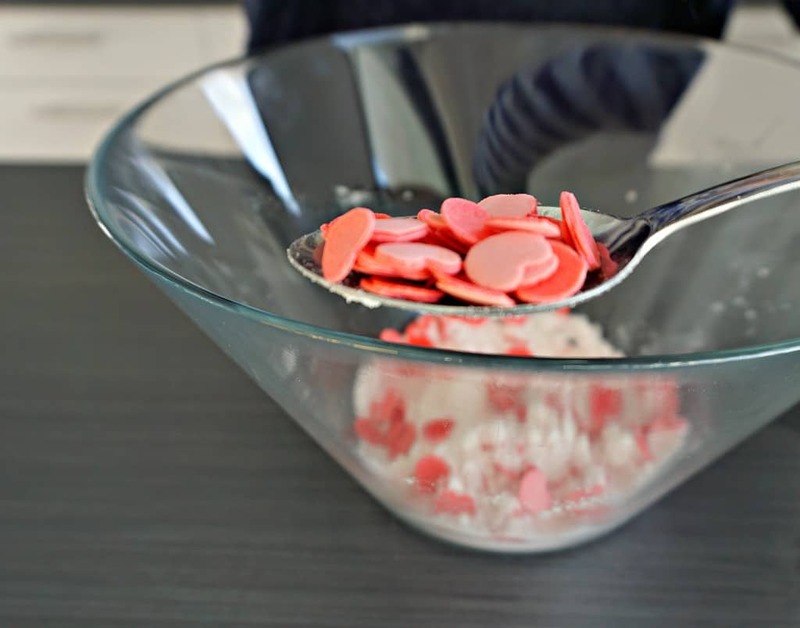 I left one as is and added a few tablespoons of heart-shaped bath confetti to the other one. 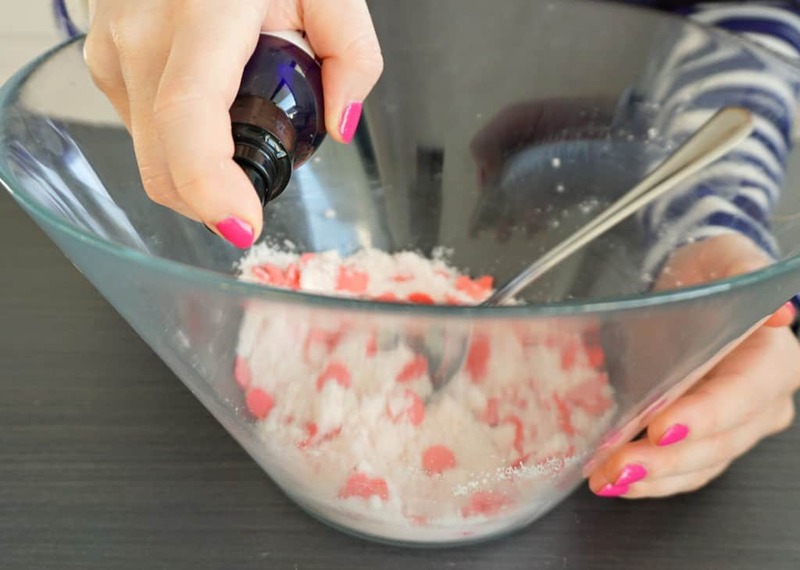 Usually I skip this step because I often use water based food coloring and it pretty much does the same thing. Most recipes use water or witch hazel but I used cornflower blossom water because it’s my favorite toner these days and it’s what I had on hand. I sprayed both mixtures a few times and kept stirring well in between each spritz to prevent it from fizzing. Every now and then I checked to see if the mixture started to clump together. First, I put three dried rose buds on the bottom. Then I started to fill my mold with the regular mixture. I made sure to press it down firmly and to take it up onto the sides. In the middle I added the mixture with the bath confetti. I pressed this down firmly too. To top it off I added another layer of the white batch. I could make 4 of these hearts in total with my batch. Plenty to share ánd keep for myself! 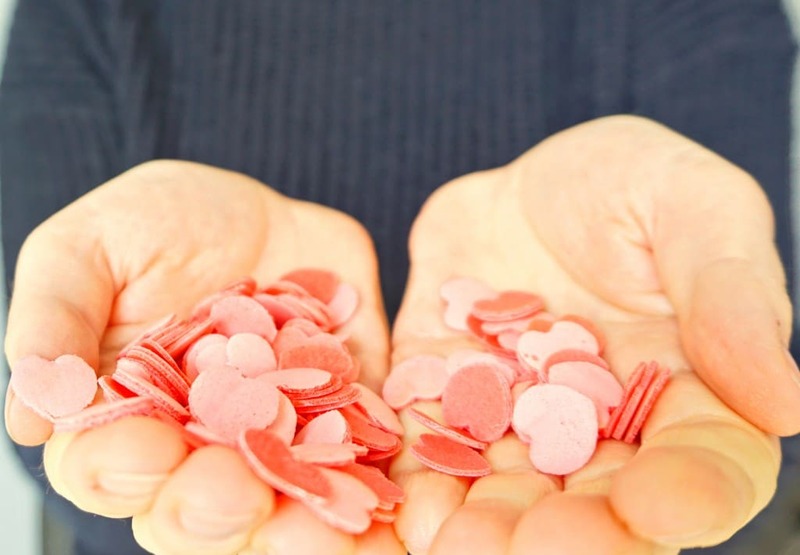 Where did you buy the bath confetti?